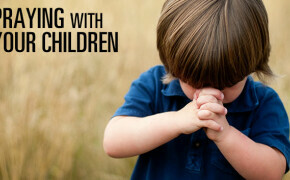 When our children were growing up and were in school, this is how I prayed with them every day. Father, I thank you that your Word is true concerning our family. I declare that Psalm 91 is true over our lives—that though a thousand may fall at our side and ten thousand at our right hand, no harm, no evil, no sickness, no disease, no pestilence, and no plague shall come near us or our dwelling place. I thank you for the angels of God assigned to us today. I dispatch them now, to go in front and behind us, to lift us up in their hands so we will not even dash our feet against a stone. I thank you, Holy Spirit, for being in us today, helping us to study to show ourselves approved unto God, workmen who do not need to be ashamed, rightly dividing the word of truth. Thank you for success and excellence in all the work of our hands and for bringing back to our memory all that we have studied, read, heard, and learned for your glory. AMEN.